Handbags To Change Bags: Postman Pat Has Gone All Showbiz! Postman Pat has been a firm, family favourite for many years, I watched it as a child and now my children watch it and they love it as much as I always did so we were all pretty excited to hear about the upcoming Postman Pat movie which is going to be in cinemas nationwide from the 23rd May. To celebrate Postman Pat The Movie Character Options has released Showbiz Pat, he sings and dances to 3 different songs and my kids love him. Just press the button on his hand and Pat wiggles away to three catchy songs, suitable for ages 3+ he's a big hit with my 3 year old son Riley and although Pat is not really suitable for Summer as she's only 1 she loves him too and wiggles away with him while he's dancing. 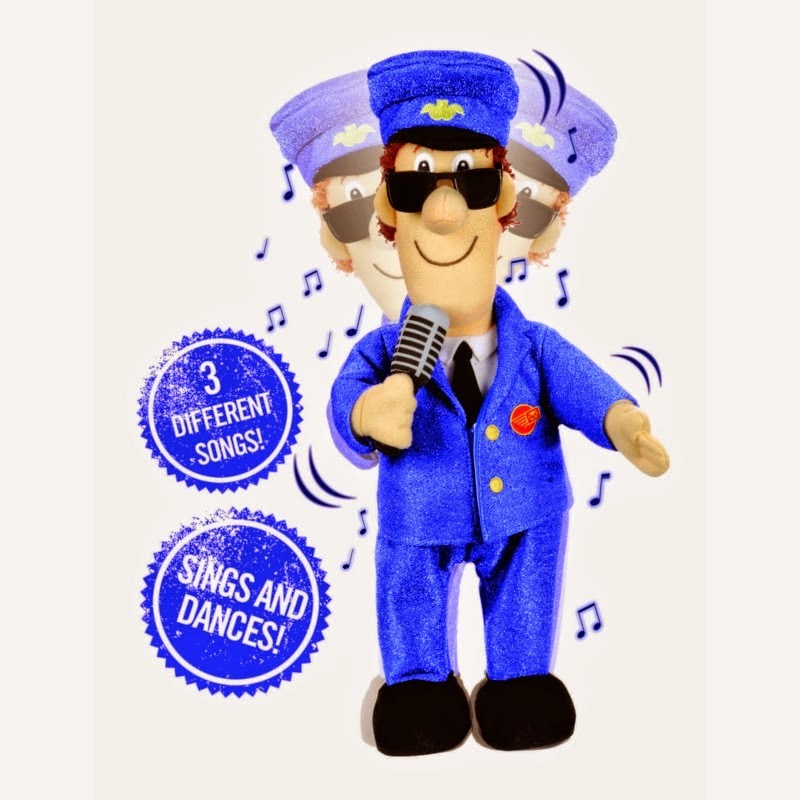 If your kids love Postman Pat then they'll love this toy, the songs aren't bad either, I've had them stuck in my head for days now lol. Riley is super excited about the film, he's never been to the cinema before but I think this would be perfect to take him to see. Will you be heading to the cinema on the 23rd of May to see Postman Pat The Movie? We were sent Showbiz Pat for the purpose of review but all thoughts and opinions are 100% honest and my own.